Drive headlong into bone-chilling danger in this action game. Is there a better alternative to Ice Road Truckers? 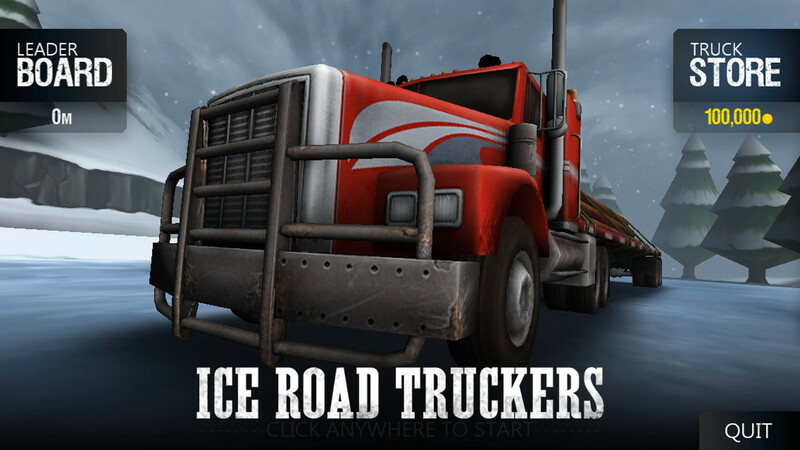 Is Ice Road Truckers really the best app in Action category? Will Ice Road Truckers work good on macOS 10.13.4? Ice Road Truckers will test you to see if you have what it takes to conquer the world's deadliest roads! Hitch a risky ride along with the Ice Road Truckers as they drive headlong into bone-chilling danger. Join Hugh, Lisa, and Alex as you battle the toughest winter roads the world has to offer. Tackle slippery terrain, avoid dangerous obstacles, and boost over ramps to see how many miles you can go before the ice roads claim another victim. Based on History’s popular TV show, Ice Road Truckers. Ice Road Truckers needs a review. Be the first to review this app and get the discussion started! Ice Road Truckers needs a rating. Be the first to rate this app and get the discussion started! Use action-packed powerups and special abilities to navigate the hazardous ice roads! Use ramps, boost, and your driving skills to avoid obstacles to deliver your cargo safely. Unique character traits including extra vision, money, and life.